Home > Debt Relief Industry > Tipster Wonders, How Does Legal Helpers Debt Resolution Avoid Legal Fee Splitting? Thanks to all the great readers, I get the most amazing tip emails and items. Today I received one from a reader who raised some interesting questions. The folks at Legal Helpers Debt Resolution seem to be a very smart group of people but the tipster (send in your tips here) and others have concerns about their model. The issue may be that the concerns people have are one of perception but perception is important. Attached you will find a great tip. Here is what the lawfirm behind Legal Helpers has drawn up to have all their affiliates sign. Now, I am hearing there are at least 15-20 branches/affiliates out there operating. There are 2 staggering things to discuss. Now one being you have already covered Legal Helpers attempt on getting around the TSR by using a network of face to face attorneys etc. And yes they are still doing debt settlement with upfront fees, etc. The most amazing thing, however, that no one is really discussing is that it is completely illegal for an attorney to split fees. 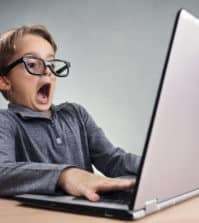 I don’t care how many times you splice it or dice it they have come up with a method of basically paying out over 50% of the clients payments(fees) + monthly residual fees and % of financial coaching all in the effort of bypassing state Bar rules that completely ban attorneys from telemarketing and splitting their fees. In some cases an attorney can split fees with other attorneys which happens alot in referrals,etc. So basically, Legal Helpers has created a front of 15+ company’s that were all former Debt Settlement company’s (many from TASC & USOBA) like Joanne from Nationwide and David Leuthold from Century Negotiations. These FRONTS market (direct mail, internet, etc.) and pitch the program as if they are a branch of Legal Helpers, As if an attorney owns the branch and as if all the employees get pay checks from the lawfirm. NONE of this is the case. 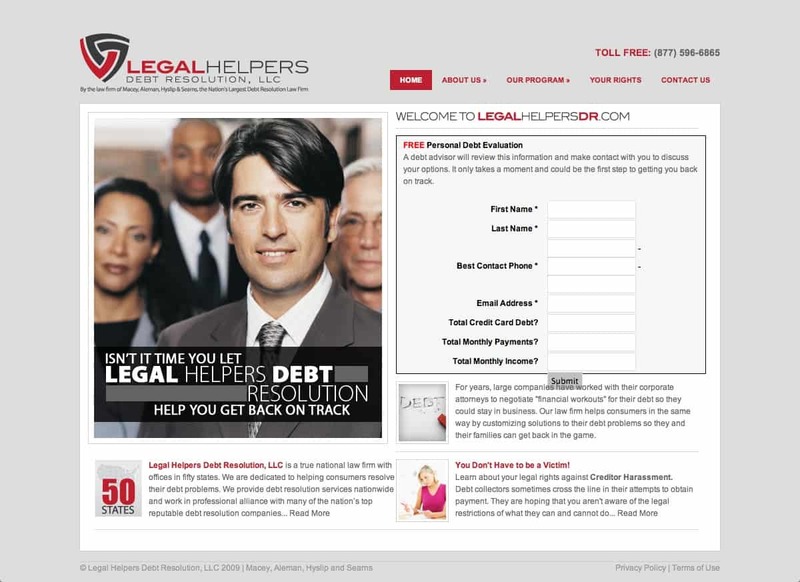 The Partners from Legal Helpers Debt Resolution have participated on this site in the comments in the past. Hopefully they will drop back in again and help to answer the tipster (send in your tips here)’s questions and concerns. You will find the alleged Legal Helpers Independent Marketing Agreement below. But after reading the agreement I am confused how any marketer would be able to make money if they fully complied with the agreement. It is also confusing that the agreement says that marketing materials sent need to say they are from Chicago, the agreement has an arbitration clause that will be executed in Las Vegas and the agreement is to be construed under California law. The program will hurt their credit report and credit score. Interest, late fees, and penalties will continue to accrue on the accounts. Creditor calls can’t be stopped. Creditors may take legal action. Client may get a wage garnishment, lien on real property, or have a bank account seized. Settled debt may result in a tax bill. Client funds are not held in a trust account. I have zero confidence the average telemarketing sales representative is going to comply with all of those above acts. But according to information from the FTC it is not clear at all if there is a valid exemption for a face-to-face meeting. For more information on this see this post. Companies that are doing the sales pitch for debt relief services over the phone or with internal representatives and then sending out a “runner” to visit the consumer in their home or place of business, typically at a Starbucks, are NOT exempt from the FTC TSR and “will fail as a loophole”, said Allison Brown from the FTC. I think I get it, Legal Helpers Debt Resolution wants to sell debt relief services (debt settlement, debt reduction and possibly bankruptcy services, debt management, and financial coaching). They are willing to pay a lot of money for leads for these services. But any marketer that seemingly falls for this arrangement is going to be thrown under the bus in a hurry when they violate any of the myriad of regulations they must comply with and how in the world are they ever going to sell a service if they actually comply with the marketing agreement. On top of that, in order to comply with the telemarketing sales rules the marketer can’t state any facts or examples of results that may be obtained unless the marketer is aware of the time and savings of a typical customer. A typical customer includes all customer enrolled, not just those that settled a debt. And I have yet to see ANY audited or independently confirmed data on the Legal Helpers Debt Resolution to support any statement of any result. I understand you would like to settle your debt. I need to make sure you fully understand that our service will ruin your credit report and credit score, we can’t stop creditor calls, interest and late fees will continue to accrue, you will probably be charged penalties, creditors may take legal action, you can be sued, your wages may be garnished, a lien may be placed on your property, your bank account may be seized, you may have a big tax bill due afterwards, and I can’t tell you what kind of results the typical client gets because we don’t have any independently audited data to support any claim. Oh, I’ve got a bad feeling this is not going to end well for Legal Helpers Debt Resolution and many of the marketers. A. Representative specializes in the marketing and generation of qualified leads of consumers who are experiencing financial issues and may require legal services associated with resolving pending unsecured debt issues, including debt reduction and possibly bankruptcy services, debt management and/or financial counseling or coaching. B. Company provides qualified prospects to certain lawyers and law firms who provide legal services to consumers who meet established criteria, to financial coaching and debt education firms and debt management companies. C.	Company desires to utilize Representative’s marketing abilities in order to generate qualified leads and the Representative desires to market and generate qualified leads. 1. Service. Representative agrees to perform as an independent marketing company in the marketing and generation of qualified leads (“Leads”) through the use of Representative’s own effort and expense, subject to the qualification requirements outlined in Exhibit A, attached hereto, and the terms and conditions of this Agreement. The provision of debt reduction services offered by Legal Helpers Debt Resolution, LLC (“LHDR”) is subject to the terms and conditions of the Support Services Agreement between LHDR and Company. 2.1 Company shall pay Representative a fee based on the enrolled debt of a Lead approved by Company and accepted for retention by law firm, for the non-legal services provided to and paid by a Lead. The non-legal services of the enrolled debt shall be referred to as Service Cost. Compensation will be to the Representative per Exhibit C. The enrolled debt does not include any monies paid by a client to the law firm or monies set aside by a client for settlement purposes. The compensation for financial coaching or other programs offered by Company, the compensation to Representative is outlined on Exhibit C. The payment will be made by ACH, unless otherwise agreed, on a weekly or monthly basis depending on the program option and the service provided in the program. 2.2 Representative agrees that once it has received compensation from Company for the Lead, Representative relinquishes all rights and interests to that Lead regarding debt resolution services. Representative will not contact or solicit or resell any Lead while the Lead is an active participant in a program unless the Representative had a pre-existing relationship with the Lead. Representative acknowledges that the amount an attorney charges a retained Lead is in the sole discretion of the attorney or law firm and constitutes attorney-client privileged information. Company and Representative are not entitled to any portion of such fees. Program fees are established by the program provider. 2.3 Representative and Company have exercised care and diligence in determining their respective best estimates of the expense, investment, and reasonable rate of return for Representative in generating qualified Leads and providing the non-legal services, personnel, space, equipment, and supplies required by this Agreement, have determined that the compensation to be paid Representative is commensurate with the reasonable value of such services. 2.4 Any and all client fees and costs shall be fully or partially refunded to a client, if in the reasonable determination of LHDR or Company, such refund is appropriate. In the event of any refund, both parties shall be required to refund the client any cost and fees they had received in regard to that client. In the event that a refund is partial, Representative and Company shall be responsible pro rata for such refund in the same percentage as to fees and costs received by the parties in regard to such Lead. Representative shall have thirty (30) days from receipt of notice from Company to pay a refund to any Lead. 3. Responsibilities of the Representative. 3.1	Representative is authorized, within the authority and limitations stated herein, to quote fees and terms for the legal services and non-legal services only in accordance with the qualification requirements, the disclosure requirements and other ethical criteria established by LHDR or Company in their reasonable discretion, which may be amended from time to time. The disclosure requirements are listed on Exhibit B, attached hereto. Representative will only use contracts and enrollment forms reviewed and approved by the Company. 3.2	Representative shall use its commercially reasonable efforts to generate Leads. Nothing in this Agreement prevents Representative from providing the same marketing and lead generation services to other attorneys or companies who provide debt management or settlement services. However, Representative shall not use the LHDR name or logo in the marketing of Leads for any other third party. Further, Representative is under no quota requirements to generate a specified or minimum number of Leads. However, Representative understands that compensation will be based on production and lack of production is grounds for termination. 3.3	Representative will deliver electronically to Company, in a format reasonably acceptable to Company, all information related to a Lead in order for Company to determine whether the Lead does meet the qualification requirements and to ensure that the disclosure requirements have been satisfied. If the information is not complete or the disclosure requirements are not satisfied, forms will be returned. Representative acknowledges and agrees that both the Company and the law firm are relying on the accuracy of the information provided for the Lead and the confirmation that the disclosure requirements were satisfied for each Lead. 3.4	Representative is not authorized to: (i) alter the standard terms of the contracts and enrollment forms; (ii) make any representations or warranties regarding the services, other than those outlined in the disclosure requirements outlined in Exhibit B or as otherwise approved by Company or (iii) make any representation that Representative is an agent of Company or the law firm. Representative will not, publish or disseminate any promotional, website or marketing materials designed to attract qualified Leads, which have not been previously reviewed and approved by Company. If Representative purchases a Lead, the Representative must insure that it complies with the requirements and criteria of this Agreement. 3.5	Representative shall pay all its own expenses and be solely responsible for the acts and expenses of its employees and agents in the generation of Leads. This includes sole responsibility for the reporting and payment of all employment and income taxes. Representative will indemnify and hold Company harmless from any claims, injuries, demands, liabilities, losses, damages, judgments or settlements, including all reasonable costs and expenses related thereto, including attorney’s fees, incurred as a result of any asserted obligation, liability, or debt of Company stemming from any act, omission or obligation of or by Representative or Representative’s agents or employees. 3.6	Representative acknowledges, accepts and understands that Representative accepts the full risk of profit and loss from its business activities under this Agreement, just as with any other business interests. 3.7	The means and methods used by Representative in marketing and generation of the Leads are under the complete direction and control of Representative as an independent business, except the adherence to the qualification requirements and disclosure requirements. Representative will not use any marketing materials, scripts or advertisements or use any marketing or sales methods or techniques that do not comply with Section 5(a) of the Federal Trade Commission Act and all applicable federal and state laws and regulations. Representative will not make any statement related to the legal services provided by the law firm that are not completely true and accurate. 3.8	Any use of the Company’s name or logo or the name or logo of Legal Helpers Debt Resolution without the prior written consent of Company is prohibited. Any use in violation of this provision is grounds for termination for cause, which will terminate Representative’s right to further compensation under this Agreement. 3.9 Representative will not, during the term of this Agreement, contact any client of the law firm for the purpose of soliciting the client to offer a service that is similar to or competitive with the services provided by the law firm to such client. 3.10 Representative agrees that (1) it will maintain compliance with the Gramm-Leach-Bliley Act, (2) it shall not act as a Credit Repair Organization, (3) it will abide by all rules and regulations promulgated under the terms of the Telemarketing Sales Rule, as amended, Telephone Consumer Protection Act, and the CAN-SPAM Act of 2003, and (4) it will implement policies and procedures with a goal of maintaining security of clients’ nonpublic information. 3.11 Representative agrees that it will submit and obtain approval from Company for any marketing or sales material or advertisements prior to dissemination. 4. Responsibilities and Rights of Company. 4.1	Company shall exercise no control over the activities and operations of the Representative, who is recognized hereunder as an independent contractor, and who is not the legal representative, agent, joint venturer, partner or employee of Company for any purpose whatsoever. Representative has no right or authority to assume or create any obligations of any kind or to make any representations or warranties, whether expressed or implied, for or on behalf of Company, or to bind Company in any respect whatsoever. 4.2	Company has the right to reject, in its sole and absolute discretion, any Lead. Company reserves the right to modify or amend Exhibits A, B, and C in order to comply with applicable law or changes in applicable law, regulations or enforcement activities, as determined in the sole discretion of Company. Company will promptly notify Representative in writing of any such modifications. Such rejection, modification or amendment of Exhibits A, B, and C, shall also be based on requirements of legal ethics and state Codes of Professional Responsibility, as required by any attorney or law firms that the Company associates within regard to the use of such Leads. 4.3	Following the delivery by Representative of the Lead information, Company will expeditiously review the information, conduct verification and determine whether the Lead is qualified. If qualified, Company will process the enrollment documentation and forward the Lead to the law firm or other program provider. Representative acknowledges that it is in the sole and absolute discretion of the law firm to confirm that the consumer meets the requirements and can be retained by the law firm. Company will notify representative if the appropriate attorney or law firm accepts the consumer as a client. All providers of programs offered by or through the Company have the sole right to determine whether a particular consumer is suitable for the program. 4.4	Any approvals or consents, required or provided in this Agreement by Company shall be made in a timely and reasonable manner. 5. Representations and Warranties. Each party represents and warrants to the other that: (a) such party has the full corporate right, power and authority to enter into this Agreement, and to perform the acts required of it hereunder; (b) the execution of this Agreement by such party, and the performance by such party of its obligations and duties hereunder, do not and will not violate any law, statute, regulation, judgment, order or decree to which the party is subject; (c) neither its execution of this Agreement nor the performance of its obligations hereunder will result in a breach of or interference with any contract, agreement or other instrument with any third party, and such party will not assume or enter into any agreements, restrictions, or obligations during the term of this Agreement that interfere or are inconsistent with this Agreement; (d) when executed and delivered by a party, this Agreement will constitute the legal, valid and binding obligation of such party, enforceable against the party in accordance with its terms, except as such enforceability may be limited by law; and (e) such party acknowledges that the other party makes no representations, warranties or agreements related to the subject matter hereof that are not expressly provided for in this Agreement. 6. Available States. The right to market and generate Leads is limited to those states listed on Exhibit C, attached hereto. The list of available states may be amended from time to time in the sole and absolute discretion of Company. If a state is deleted from the list by Company, Company shall provide prompt written notice to Representative and the deletion shall become effective thirty (30) days following receipt, unless legal circumstances require immediate deletion. 7.1	The parties acknowledge that the legal services or other programs services provided to a consumer are not the responsibility of the Representative. Both parties acknowledge that the law firm and program providers will subcontract certain tasks of the debt negotiation process, account administration, and financial coaching and debt education to third parties. 7.2	It is acknowledged that LHDR is a national law firm and subject to the regulation of state bars, codes of professional responsibility, and state and federal regulatory agencies in regard to the practice of law and relationships with non-attorneys. It is further acknowledged that strategic alliances between attorneys and non-attorney entities are subjects of ongoing review by many state regulatory agencies. LHDR will be bound by such regulations current or in the future which may require modification or termination of this Agreement and/or restrictions on the operation of this strategic alliance venture in some jurisdictions. Compliance with such regulations or restrictions shall not be deemed a breach of this Agreement by Company and Representative agrees to comply with all reasonable instructions related to conformance with ethical or regulatory requirements. 7.3	Company may conduct periodic on-site trainings, audits or reviews in coordination with LHDR in regard to procedures and standards of compliance for the marketing and enrollment services provided by Representative pursuant to this Agreement. Representative will cooperate with such trainings, audits or reviews and address and resolve any compliance or procedural issues discovered as a result of such audits and reviews, including remedial training if required. 8.1	The initial term of this Agreement is for one (1) year. At the expiration of this term, this Agreement will continue for continuous one (1) year terms, unless either party provides written notice to the other party not less than ninety (90) days prior to the expiration date. 8.2	This Agreement may be terminated by either party upon written notice in the event a party breaches a provision of this Agreement and the breach is not cured by the breaching party within thirty (30) days of written receipt of notice by the breaching party outlining such breach. 8.3	In the event this Agreement is terminated for any reason, and in the event Representative has not breached any term of this Agreement, Representative shall receive all compensation earned and accrued through the date a Lead has been accepted, but all other rights of Representative under this Agreement shall terminate as of the date of termination. 8.4	In the event of termination, regardless of cause or reason, Representative agrees that 2.5% of the compensation otherwise payable to Representative under Section 2 shall be escrowed for the sole purpose of having funds available to provide refunds or restitution of service fees or costs to clients of the law firm, as determined in the discretion of Company and LHDR. Additionally, such escrowed funds may be used to satisfy any fines, penalties, orders, judgments or settlements related to or arising from the Leads, or to satisfy the indemnification obligation of Section 3.5, as determined by Company in its reasonable discretion. At such time as the amount of escrowed funds reaches or exceeds $50,000, then no further compensation should be directed to the escrowed account, unless and until funds are withdrawn pursuant to this provision, in which case the set aside of 2.5% will recommence until the amount of escrowed funds reaches or exceeds $50,000. 8.5	If for any reason, Representative violates any of the standards set forth in Exhibit E, attached hereto: “Legal Helpers Debt Resolution, LLC Legal Services Support Group, LLC Debt Resolution Operating Standards,” Representative will be deemed to be in material breach of this Agreement unless Representative cures within thirty (30) days of notice of the breach. 9.1	Proprietary Information. Representative understands that the Company possesses and will possess Proprietary Information that is important to its business, particularly the accepted Leads, marketing methods, business methods and techniques used in debt reduction, software used in enrollment and account administration brochures and training materials, and client information. For purposes of this Agreement, “Proprietary Information” is all information that is disclosed to or will be learned by each party from the disclosing party and has commercial value in the disclosing party’s business. Proprietary Information includes, but is not limited to, information (and all tangible items in any form incorporating, embodying or containing information) relating to all client lists, Lead or other compilations containing client information, business methods and process, forms, software, sales materials, marketing techniques and training information and materials and information related to the law firm. Proprietary Information does not include information that (i) is in the public domain through lawful means that do not directly or indirectly result from any act or omission of a party in breach of its obligations hereunder or (ii) is or becomes known (other than in connection with this Agreement) without restriction on use or disclosure at or subsequent to the time of disclosure. 9.2	NonDisclosure. Neither party will, without the prior written consent of an authorized officer of the other (i) use or disclose any Proprietary Information or (ii) deliver any Proprietary Information to any person or entity outside the performance of this Agreement. Notwithstanding the foregoing, either party may use the Proprietary Information (and disclose and deliver the Proprietary Information to its employees, agents and subcontractors who have a need to know, provided such persons or entities have previously entered into written agreements protecting third-party proprietary information) to perform the activities contemplated by this Agreement. 9.3	Return of Proprietary Information. Each party agrees that upon termination of this Agreement for any reason, or upon written request, it shall deliver to the other party any all Proprietary Information provided by the disclosing party. 10. Disputes. As a condition to any right of action hereunder, any dispute or difference between the parties arising out of or relating to this Agreement, or breach hereof, shall be submitted to arbitration in accordance with the applicable arbitration rules of the American Arbitration Association which are in effect on the date of the delivery of the demand for arbitration. Any arbitration proceedings shall take place in Las Vegas, Nevada before a single arbitrator. The decision rendered by the arbitrator shall be binding. Judgment upon the decision of the arbitrators may be entered into any court having jurisdiction thereof. Each party shall pay the expenses of the American Arbitration Association and the arbitrators equally. 11. Limitation of Damages. In no event will either party be liable to the other for any lost profits, special, incidental, exemplary or consequential damages related to this Agreement, whether based on breach of contract, negligence, tort or any other legal theory and regardless of whether such party has been notified of the possibility of such damages. 12. Assignment. Representative shall not assign or in any way transfer (and any attempted assignment or transfer shall be void) any rights or obligations hereunder without the prior written consent of Company. 14. Severability. If any provision of this Agreement is determined to be invalid or unenforceable, in whole or in part, the remaining provisions shall be enforceable to the maximum extent allowed by law. 15. General Provisions. The laws of the State of California will govern this Agreement without regard to the conflict of law provisions thereof. This Agreement, including any Exhibits attached hereto, supersedes any previous understanding or agreement between the parties regarding the subject matter herein and this Agreement reflects the entire agreement and understanding of the parties related to the subject matter hereof. No waiver of a breach or obligation shall be deemed to be a waiver of any subsequent or prior breach or obligation. The invalidity or unenforceability of any particular provision of this Agreement shall not affect the other provisions hereof, which shall continue in full force and effect. The invalidity or unenforceability of any particular provision of this Agreement shall not affect the other provisions hereof, which shall continue in full force and effect. This Agreement may be executed in counterparts. Acknowledgment or acceptance of any order or contract containing terms inconsistent with the terms of this Agreement (or the making of deliveries pursuant thereto) shall not be deemed as acceptance or approval of any such inconsistent terms. Applicant experiencing a financial hardship resulting in consideration of a debt resolution program. The program length, cost, and disclosures appropriately explained to applicant. The applicant can afford the program. The program has been fully disclosed to applicant and suitable based on applicant(s) circumstances. The savings plan proposed is affordable by applicant. Applicant(s) enrolling eligible debts with a total balance over $10,000.00. Applicant(s) live within approved State. LHDR does not clean up, fix, or repair credit. The goal is to seek appropriate debt resolution for each client in regard to their debt burden, eliminate financial hardship and control their current debt circumstances. The client has to understand that enrolling into a debt resolution program will have a negative effect on their credit. Explain to the client that LHDR cannot stop interest, late fees or penalties from accruing on their accounts, but will settle on the amount owed at the time of settlement and will comply with LHDR’s Minimum Performance Standard. Explain to the client that if LHDR’s Minimum Performance Standard cannot be met, the client will receive a full refund of the 15% Service Cost on the account in question and will also have the account in question settled on their behalf for no additional Service Cost. The client has to understand that LHDR cannot stop or eliminate creditor calls, but can address creditor harassment and FDCPA (Fair Debt Collections Practices Act) violations with collection agencies. In addition, once the client has retained the attorney, letters of representation will be sent to each creditor on the client’s behalf. LHDR does not provide tax advice or services and can provide only the legal services that are specified in the Attorney Retainer Agreement. The client must understand that a creditor may take legal action regarding the accounts that they enrolled into LHDR’s debt resolution program. LHDR will fully represent the client in court or in that case. Also explain that LHDR will where possible negotiate and settle those accounts, in accordance with the Minimum Performance Standard. (There is the possibility of a wage garnishment, a lien on real property, or a seized bank account). The option of discharging their debt in bankruptcy will be discussed with any client who faces such potential legal actions. The client has to understand that any settlement savings and forgiven debt may be taxable by the IRS. They should consult with a tax professional. Explain to the client that LHDR does not hold the clients’ settlement funds in trust, nor does LHDR disperse funds to their creditors. Rather, the client will hold their own settlement funds and disperse those funds themselves once LHDR negotiates client approved settlement terms. Below you will find a list of states in which LHDR operates as a law firm. 40% of the contingency fee at time of settlement or like amount based on flat cost paid. Volume will be reviewed and measured on a 90 day average. You will then have a 60 day cure period to maintain the current tier. The FTC Amendment to the Telemarketing Sales Rule (“TSR) applies to all operations, policies and procedures, including advertising and marketing (e.g., websites, inbound telephone scripts, print, radio, television and Internet advertisements, affiliate relationships, lead generation relationships, back-office provider relationships). Under FTC rule, an act or practice is deceptive if: (1) there is a representation or omission of information that is likely to mislead consumers acting reasonably under the circumstances; and (2) that representation or omission is material to consumers. Absolutely no use of government or implied official symbols or text that may lead a consumer to believe that the marketing is for a federal or state program or in regard to any statute or law regarding debt relief. The FTC requires that representations promising specific savings or other results be truthful, and that the provider have a reasonable basis to substantiate the claims. For example, the Rule implies that when a debt relief service provider represents that it will save the consumer money, the savings claims should reflect the experiences of the provider’s own past customers and must account for several key pieces of information. How much the service costs and other important terms. Before someone signs up for your service, you must disclose all fees. If you charge a specific dollar amount, you must disclose that amount. If you charge a percentage of the amount a customer would save as a result of your program, you have to disclose both the percentage and the estimated dollar amount it represents for that customer. In addition, before someone signs up, you must disclose any material restrictions, limitations, or conditions on your services. How long it will take to get the advertised results. You must give a good faith estimate of how many months or years the consumer will have to wait before you’ll make an offer to each creditor that’s likely to result in a settlement. You have to have a reasonable basis for any statements you make. How much money a customer must save before we will make a settlement offer to creditors. For example, if someone owes $10,000 to a creditor and your data shows that this creditor is likely to settle the debt for $6,000, you must tell the potential customer before he or she signs for your program that he or she will have to save about $6,000 to settle the debt. The consequences if the customer fails to make timely payments. If you tell consumers to stop making timely payments to their creditors – or if your program relies on that practice – you must tell them about the possible consequences of doing so, including damage to their credit report and credit score; that creditors may sue them or continue with the collections process; and that they may accrue new fees and interest, which will increase the amount they owe. if the debt relief service provider requests or requires the customer to place funds in a dedicated bank account at an insured financial institution, that the customer owns the funds held in the account, may withdraw from the debt relief service at any time without penalty, and then may receive all of the funds in the account. Any third party lead generators that are marketing on behalf of the support entity members will be required to register all creative marketing with LHDR compliance. When an appointment is set with an LHDR attorney, LHDR support members will be required to input a lead ID from their CRM system, and a creative ID as to the source of the creative marketing, if it is generated by the Support Group member. If the creative was generated by a third party lead generator, then you will be required to input an ID for that campaign that LHDR staff can track back to the Lead Generation source. We will require Lead Generators to tie a creative ID to that lead. In an effort to ensure that Lead Generators are not privy to close rates, we will randomly assign leads to them. Not every “appointment” will be audited, so you can be assured that no lead generator will be able to determine any campaign performance from the use of this system. LHDR compliance will contact consumers with a “Customer Service Call” to confirm the appointment, and inquire about how they contacted the company. In the event that the consumer’s story does not match with the information provided to LHDR compliance, LHDR compliance will initiate a inquiry and enforcement action may follow. LHDR is also building a team of shoppers that will fill out lead forms on the Internet, and track landing pages, and lead buyers to ensure that no leads from non-compliance sites are ending up with LHDR members. We believe this will target non-compliant Internet campaigns, and companies that buy data for use in non-compliant auto-dialer campaigns. No two states have adopted the same advertising rules. While many states have similar requirements, strict compliance with every rule in every state would lead to disclaimer language that would take up more space than the actual advertisement. Therefore, the following national disclaimer seeks to include relevant disclaimer language for every jurisdiction and we believe that it makes a good faith effort to comply in every state. WHILE THIS FIRM MAINTAINS JOINT RESPONSIBILITY, PRIMARY RESPONSIBILITY FOR CASES OF THIS TYPE MAY BE PERFORMED BY OTHER ATTORNEYS. State rules regarding direct mail solicitation are much stricter and harder to rectify than those governing general television and billboard advertising. Many states have specific wording that must be placed in specific parts or sentences of the mailing. Many also require that specific words be placed in particular places on the communication or envelope, and have specific restrictions as to the font size and capitalization of these words. It is important to note that any direct mail solicitation, regardless of the media in which it is sent, may not express any predetermined evaluation of the merits of the recipient’s case and must include LHDR’s national disclaimer. With respect to the content of a direct mail campaign, you should not include any sample contracts including retainer agreements unless they are marked “SAMPLE” in red ink on each page of the sample contract in a font size that is at least one size larger than the largest font used in the contract, and the words “DO NOT SIGN” appear on the client signature line. You may not send a direct solicitation to anyone that it knows is already being represented in the matter by another lawyer. Additionally, a direct solicitation may not be sent to a person that the firm knows, or reasonably should know does not want to receive the communication, or to a person who is a minor or is incompetent, or to a person who’s physical, emotional or mental state makes it unlikely that they could exercise reasonable judgment in employing a lawyer. All direct mail solicitations should be sent only by regular U.S. Mail. They may not be sent by registered mail or by other forms of restricted delivery. Obtaining or responding to any direct mail solicitation may not impose any involuntary economic cost on the prospective client. Any envelope or packaging containing a direct mail communication must have the word “ADVERTISEMENT” printed on the lower left hand side of the front of the envelope in red ink. This statement must be in a font size that is at least twice as large as either the largest font being used in the body of the communication or that which is being used on the envelope for the name and address of the recipient, whichever is larger. The firm name and address must also appear on the front of the envelope. The front of the envelope must not contain any other printing than the name of the firm, the return address, the name and address of the recipient and the advertising notice. The envelope must not reveal the nature of the client’s legal problem. Any direct solicitation in the form of a written communication that LHDR sends must include the word “ADVERTISEMENT” in red ink in 18 point font or in a font size at least one size larger than the largest type used in the written communication (including that used in the firm name in the letter or masthead), whichever is larger, at the on the top of each page of the communication. A direct mail solicitation must not have the appearance of a legal pleading or official, government or legal form or document. A direct mail solicitation must not make any reference to the fact that it has been submitted to, or approved by any state bar. The communication must not contain any statements which vilify, denounce or disparage any potential party. Additionally, LHDR should not send, or allow for any written communication to be sent on its behalf which involves coercion, duress, overreaching, harassment, intimidation, undue influence, compulsion, threats or false, fraudulent, deceptive unsubstantiated, misleading or unfair statements or claims. The communication must not make any claims about the comparative quality of legal services, assert any opinions about the liability of a current or potential defendant or offer any assurance of client satisfaction. If the communication is being prompted by a specific occurrence it must disclose how LHDR obtained the information prompting the communication. This disclosure must be specific enough to help the recipient to understand the extent of the lawyer’s knowledge regarding the recipient’s particular situation. If LHDR sends any pamphlets or self-mailing brochures, the word “AVERTISEMENT” must appear in red ink on the address panel in 14 point font or in a size at least 3/8” vertically or 3x the vertical height of the letters used in the body of the communication, whichever is larger. The same shall appear on the inside of the brochure or pamphlet. The outside of the self-mailing brochure or pamphlet must not reveal the nature of the client’s legal problem. LHDR may never send a direct solicitation in the form of a postcard. Any postcard solicitation must be generic, not mention or imply the case will be sent to LHDR and such leads cannot exclusively be provided to LHDR. LHDR will monitor direct mail by requesting that consumers that sign up for LHDR, who are often recipients of direct mail, send along any and all direct mail sent to them. LHDR will pay a bounty to consumers who forward their mail. If upon calling non-compliant mailers, LHDR finds a LHDR support entity member on the other end of the line, then enforcement action will follow. All other media including television, radio, print and websites must be approved by the support entity compliance department under the supervision of LHDR’s General Counsel. The above disclaimer for direct mail should be used in television and print media as well as on appropriate websites. 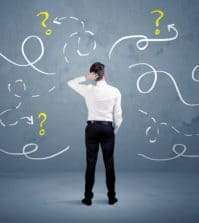 In addition any marketing of the law firm must include none of the following: (1) testimonials or endorsements; (2) background sounds or music; (3) actors or dramatizations; (4) any implication that the lawyer is certified or is a specialist or expert in any field; (5) references to the lawyer’s foreign language abilities; (6) comparisons to other lawyers or law firms; (7) statements regarding prior results; (8) any affiliate funding of the advertisement. Will use only contracts, scripts and enrollments forms reviewed and approved by the LSSG. Will not make any representation that Representative is an agent, attorney or legal assistant of the law firm or provide any legal advice. Will accept no payment or other thing of value in exchange for debt negotiation and resolution services, except for that cost paid under the terms of their contract with the LSSG. Will implement policies and procedures with a goal of maintaining security of clients’ nonpublic information under the strict supervision of the LSSG. Will not engage in any sales or marketing that uses any unfair or deceptive representations. When explaining the program to a consumer, the Representative will deal fairly and forthrightly with each and every client, making certain that among whatever other information may become necessary to inform the client of the qualities, conditions, terms and limitations of the debt negotiation and resolution services to be provided. In addition, the Representative will clearly describe the methodology of the program to each potential client so that he/she can make an informed decision as to whether or not a debt resolution program is a viable and affordable option. a)	LHDR does not clean up, fix, or repair credit. The goal is to seek, assist and implement an appropriate debt resolution program based on your circumstances, financial hardship and personal objectives. b)	Enrolling into a debt resolution program will have a negative effect on their credit. c)	LHDR cannot stop interest, late fees or penalties from accruing on their accounts, but we will settle on the amount owed at the time of resolution and will comply with LHDR’s Minimum Performance Standard. d)	If LHDR’s Minimum Performance Standard cannot be met, they will receive a full refund of the 15% Service Cost on the account in question, subject to the conditions in the retainer agreement and will also have the account in question settled on their behalf for no additional Service Cost. e)	LHDR cannot stop or eliminate creditor calls, but can address creditor harassment and FDCPA (Fair Debt Collections Practices Act) violations with collection agencies. In addition, letters of representation will be sent to each creditor on your behalf. f)	LHDR does not provide tax advice or tax services unless specifically included in their retainer agreement. g)	Creditors may take legal action regarding the accounts that are enrolled into the LHDR program and LHDR will represent the client in court. There is the possibility of a wage garnishment, a lien on real property, or a seized bank account. The option of discharging the debt in bankruptcy may be discussed with any client who faces such potential legal actions. h)	Resolution savings and forgiven debt may be taxable by the IRS. They should consult with a tax professional. LHDR does not hold their resolution funds in trust, nor does LHDR disperse funds to their creditors. Rather, if they choose, they can hold their resolution funds in an account that they elect to establish with a payment processor and approve the disbursement of those funds once LHDR negotiates a resolution term. a)	Members shall only use a form of a Retainer Agreement that is approved by LSSG. b)	Programs shall only be offered to a consumer who is qualified based upon the financial and other information provided to the Representative. c)	Programs must provide for the estimated accumulation of at least $1,500 in savings by the end of the seventh program payment month, unless the total enrolled debt is less than $25,000, for which the minimum required savings amount is $750. e)	Amounts charged to the client must be in accordance with LSSG requirements and not exceed any limit set by LSSG. a)	Services provided are in accordance with legal requirements and generally accepted sound business practices. b)	Services provided are done so in a professional and ethical manner consistent in working with a consumer’s finances. c)	Necessary licenses, bonds and insurance are appropriate to the business and are in place. d)	State or Federal record keeping requirements are being followed. e)	Company finances are being administered in accordance with generally accepted financial principles. Members and front end/affiliates will be subject to mystery shoppers on a monthly basis and are accountable for their conduct in these reviews. Members shall be reviewed and audited by LSSG and the General Counsel of LHDR as appropriate for compliance with approved Standards on a semi-annual basis or more frequently as determined by LSSG and the General Counsel of LHDR. The expense of such audits will be borne by LSSG or LHDR. Membership status shall be reviewed at least annually by LSSG. Legal Helpers Debt Resolution has just been sued by the Attorney General of Illinois. You can read the suit here. I just read the suit and the full story is here. What’s amazing is that LHDR claims that they meet face to face with every client, but they don’t. The 4 partners will tell you “they do their best” to meet face to face, but a large percentage of the people get pushed through in violation of the TSR. I got a good laugh out of this one, too. Steve, you know what’s fustrating? 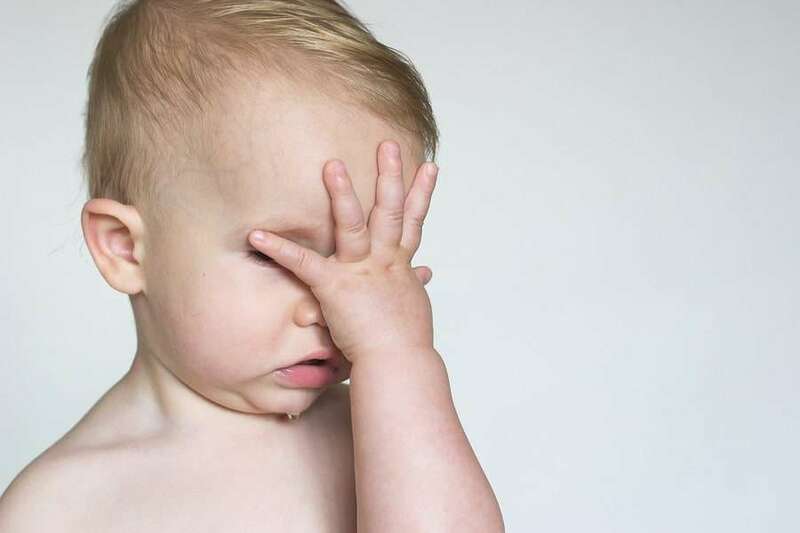 I can understand starting out in the debt industry and you first land a job at one of these companies selling debt settlement or debt resolution or debt relief etc… so the only thing you learned about selling debt is what the company is training you based on their company criterias. As we all evolved and come to learn that what we’ve been doing has been the wrong way all this time because there is another model out there called Performance where a companies gets paid, once an account is settled. So now you have 2 choices to select as your career, go with a company that offers a performance model or the same old model that has caused so much consumer complaints and nightmare, that it caught the Senators attention and now FTC putting regulations on it. What’s more disturbing is that these companies that are still offering the old traditional model where they continues to frontload these fees, knows that, but arrogantly don’t care about the consumers. I really admire New Era and the folks that showed up at your meeting in NC and I do hope the consumers that research these companies comes on here and read all of your posting and select from one of those small groups that attended in your meeting because that is exactly what consumers need, a collective group of companies willing to step outside interact with their competitors and share the same common ideas and that is HOW CAN WE IMPROVE OURSELVES TO BETTER SERVE THE CONSUMERS. Now back to this LHDR folks, coming on here boasting that they are the biggest and the best that is why people are attacking them? Take a look at yourself in the mirror ask yourself are you really doing a good service for your clients by sticking them with the same model program that has hurted millions of consumers, while watching so many companies big and small getting shut down even attorneys being disbarred? Isn’t it ironic that you only here this happening to companies that offers the traditional debt settlement model, front loading fees, but not the performance model where companies gets paid once service is performed one? For all the sells reps out there, I understand money is tight and everyone needs to pay the bills, but wouldn’t it be safer to find a company that is willing to do it the legitimate way, the legal way and not find loopholes around the law? Do you think these companies will care if they had to stop selling debt settlement because there is no profit to be made, the rules is getting to strict on them, the risk is getting too high so now they have to stop that debt settlement sector? If you don’t want to put your clients before you, atleast put yourself in a much more secured position at a company that will last for many years to come. In my opinion, if you can’t do that than you have not earned the right to call yourself a true financial counselor or whatever title you give yourself, debt specialist, credit counselor, debt advisor etc. Just do whats right, that’s serving your clients and looking out for their best interest first and placed yours last. That’s great. I really needed a belly laugh this morning. Thank you. Really. Thank you so much. You do not have to sell readers of this blog. You may need to sell this to state and federal regulators though…. Legal Helpers is not a debt settlement company. They are a national law firm that provides assistance with consumers’ unsecured credit card debt, collection agency harrassment, home loan modification, tax neogotiation, and bankruptcy. Legal Helpers is providing bonefide legal service, including full legal representation for all clients, no matter what legal service they need.